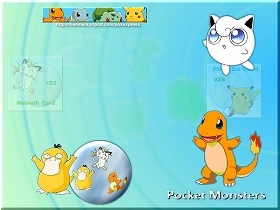 There are hidden pokemon in the wallpaper. Which pokemon are they? (Not too hard) I'm including both 800 X 600 and 640 X 480 versions.